Americans are stressed. And with the holiday season approaching, the stress is probably not going away anytime soon. According to a 2013 American Psychological Association study, nearly half of adults cited sleep issues related to stress. What’s more, in a 2015 APA report, a fifth of stressed Americans report never engaging in an activity to help relieve or manage stress. If you’re one of that 20 percent or if you are looking for new ways to relieve stress, look no further. 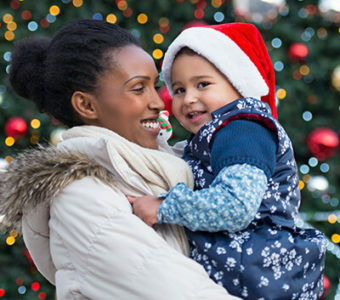 Here are five unexpected things that can help de-stress you this holiday season. So maybe this first option isn’t completely unexpected, as grown-up coloring books are found on store end caps across the country, but what may be unexpected is that they really do help. It’s not just a fad! 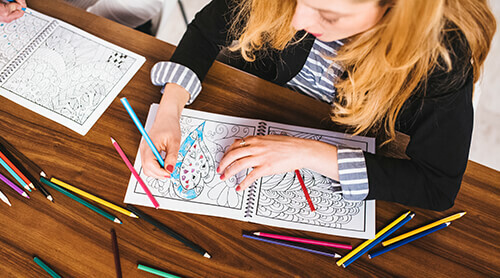 According to The Washington Post, coloring books work in the same way other mindfulness techniques do: The activity can help slow down your heart rate, loosen muscles and stimulate the brain. Hello new artwork, goodbye stress. 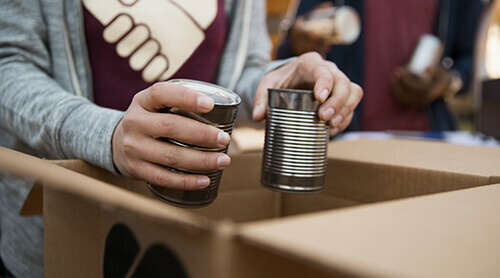 Have you ever donated time or money to a person or organization and felt great after? You weren’t imagining that feeling of happiness. According to research published in Clinical Psychological Science, a journal of the Association for Psychological Science, helping others can boost a person’s well-being. And overall, a greater number of helping behaviors were associated with higher levels of daily positive emotion and better mental health. The study also revealed that helping others can act as a buffer to the negative effects of stress. Whether you hold the door for a stranger at the mall, help your neighbor set up holiday decorations or volunteer at an organization, helping others can help you, too. No, this isn’t just a trick to get the chores done around the house. Researchers at Florida State University found that mindfully washing dishes can calm the mind and decrease stress. 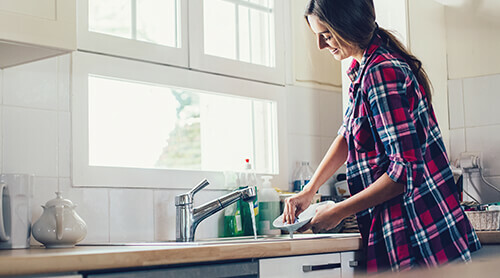 Mindful dishwashers, those who focused on the smell of the soap, warmth of the water and feel of the dishes, reported a decrease in nervousness by 27 percent and increase in mental inspiration by 25 percent. 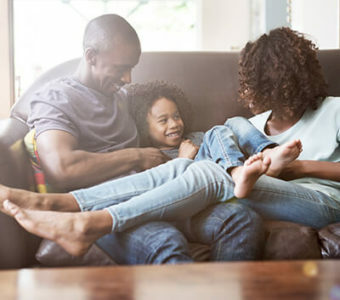 If the after-dinner conversation is a little too much family time, consider using the dirty dishes as an excuse to get away and de-stress your mind. 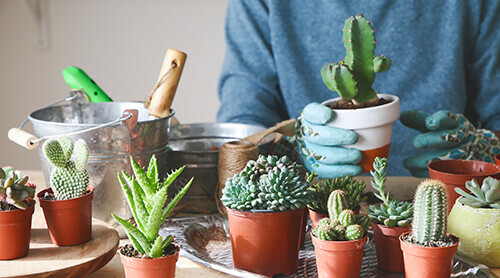 This activity may have to wait until spring unless you have a greenhouse or indoor garden. But gardening can help calm your mind on many levels. Gardening combines exercise (a well-known de-stresser) with mindfulness for an overall relaxing experience. Dig in the dirt, touch the plants, smell the fresh air, feel the sunshine, keep the phone inside. Now enjoy. Recent studies have shown that hugs, especially by partners, can help to reduce stress, lower blood pressure and improve attitude. 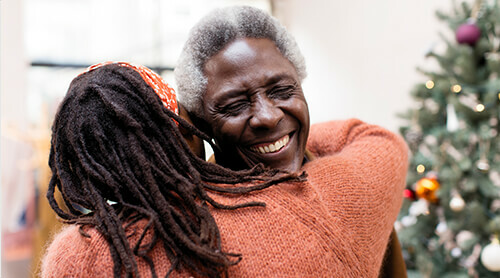 Hugs by loved ones may increase levels of oxytocin, a hormone shown to potentially ease stress. Next time you’re feeling overwhelmed or anxious, ask your loved one to bring it in for a good, long hug or take a moment to snuggle with your family pet. Did you know that exercise relieves stress too? Try some of our favorite workouts to reduce your stress!